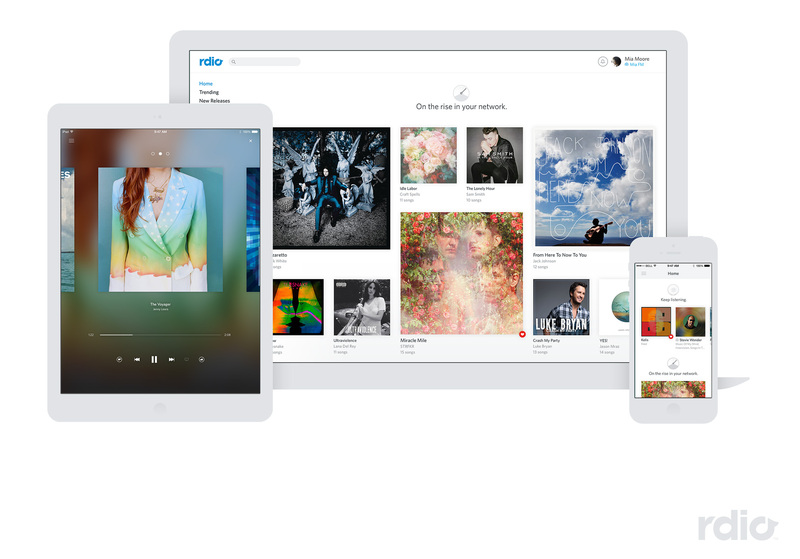 Stream music service Rdio has undergone a major redesign meant to surface its new free radio station feature and your recent listening history. Expect to see way more white space. For Rdio customers that don’t pay a monthly subscription, the app mobile is now a Pandora-like experience. The free web and app radio experience is available in 20 countries. For paying subscribers, when you launch the app you land in the new Home section. The first thing you see is recent albums, playlists, stations and artists you’ve listened to. It’s a helpful way to surface items you’re currently obsessed with without having to drill down into the app. Scroll down and you’ll be presented with what Rdio calls, Stories. the first is the week’s hottest new music followed by what’s rising in your network. In other words what your Rdio friends are listening to. You scroll down to see more options including artists that art similar to artists you enjoy, but probably the best feature, Dig Deeper, will delight music nerds. It finds b-sides, rarities and other gems of artists you like. I found LCD Soundsystem’s cover of the Siouxsie and the Banshees’s song Slow Dive which I had forgotten about in the Dig Deeper section. All of these sections are constantly updating based on your listening habits. Plus, you can find all the “classic” features of Rdio by swiping right. Heavy Rotation, Playlists, Trending, New Releases and Recommendations are all still there. So don’t panic even if you initially hate the new design — I like it, but it does require a lot of scrolling down to get to new features and OMG look at all that white space. The desktop client and web client get the same whitespace treatment, although you’ll be presented with more information about Trending Music. But the best thing is the new Downloads management section. 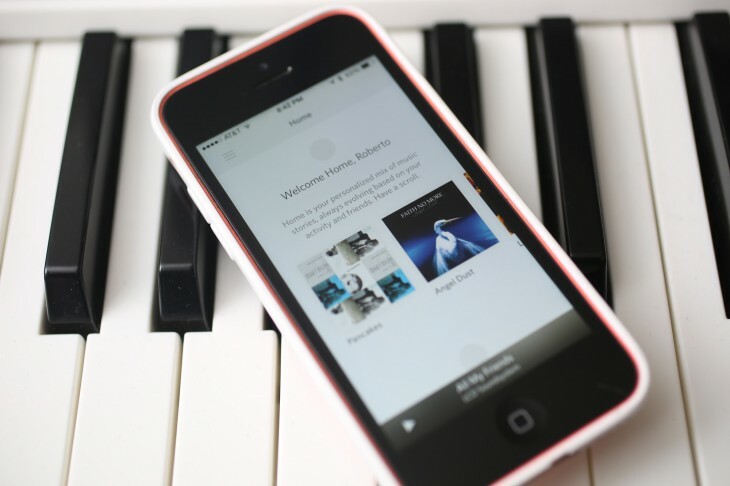 You can finally quickly and easily manage the music you have synced to your mobile devices. Of course the radio feature is also there. Rdio’s Head of Product, Chris Becherer, says that the company wants to have not only a lean forward experience for people that want to cultivate their music and choose albums and songs, but also a lean back experience for times when you just want to hit play on a curated station. Rdio says that stations are built using a combination of algorithms and human curation. Plus, the service learns about your listening habits and presents stations that you may enjoy. In all, this is a solid design update to an app and service that’s already great to begin with. Plus, enough of the old design is in the apps and web client to keep those unhappy with the update from jumping ship.